I got back yesterday evening from a two night camp with Clark Pack of 5th Reigate (Merstham) cub scouts. We were up at Jordan Heights, a little piece of unspoilt wilderness hidden on the back of Reigate Hill about 100m from the A217. The campsite is appropriately spartan. The facilities are geared for adventure rather than comfort. This is a good thing when you are scouting. There are some custom built outdoor cooking facilities (see the photos), a hut for storage and as a backstop against inclement weather. There are also air rifle and archery facilities with a trained instructor available. The campsite is a couple of flattened areas both bigger than our scout hall and it is set in the woods on the side of Reigate Hill. 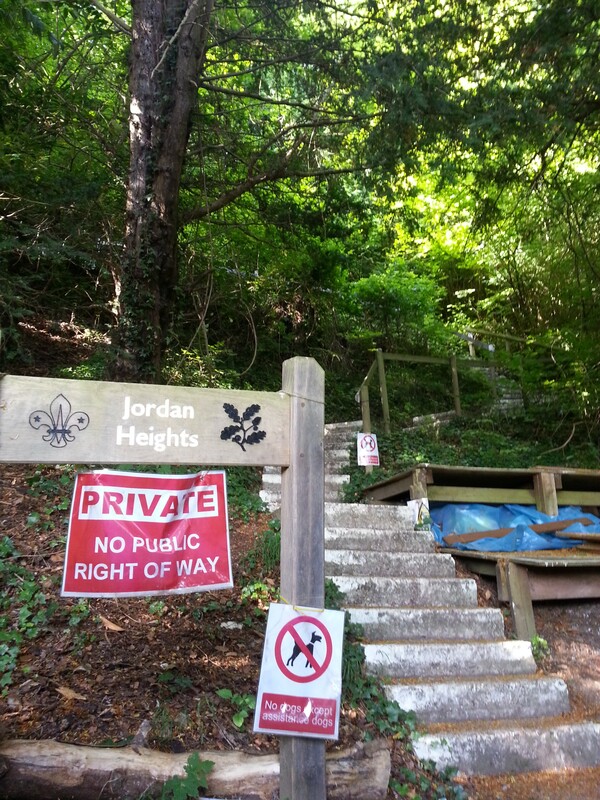 There are other facilities too, and you can see the details on the Jordan Heights scout campsite website. We got there on Friday afternoon and hauled all our kit up the steps to the camping area. The cubs shared three tents and the leaders had three also. Although us leaders had a little more space each than the boys did. One of the parents asked about what our plans were for bad weather. Akela‘s answer? “We’ve got a programme and we’ll stick to it.” We did. Dinner was pizza in the pizza oven. A metal bin bricked into a fire pit with racking inside. We had pizza bases and the cubs made up their own pizzas from a selection of toppings. Mostly these went well, but we had to refuel the fire during the process and four of the pizzas ended up crispier and darker than desired. There was a plan for this part of the camp. 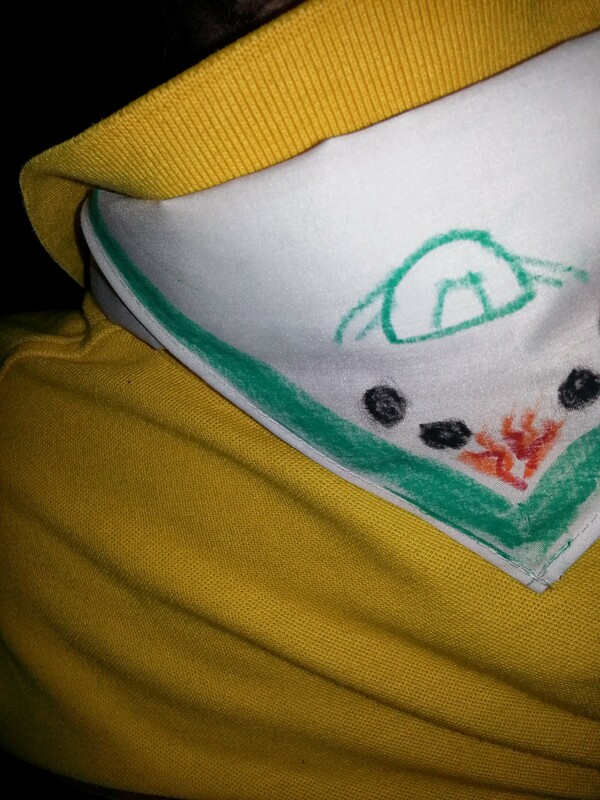 We all, leaders included, decorated some plain white scarves far camp. We also learnt how to do the friendship knot that Bear Gryls usually uses on his scarf. There were some fantastic designs done. We also had some cake and gave one of the cubs a birthday present as it was his birthday. As expected it took a little while to get all the cubs settled down in their tents and off to sleep. This wasn’t helped by the heat. However we got them all asleep eventually. Friday night was the second consecutive night of thunderstorms. All the tents waterproofing were thoroughly tested, the newest one not standing up very well. It was fine overnight, but one of the cubs stood up in the morning and got soaked. While I helped cook breakfast on the fire the new tent was taken down and replaced with our spare.